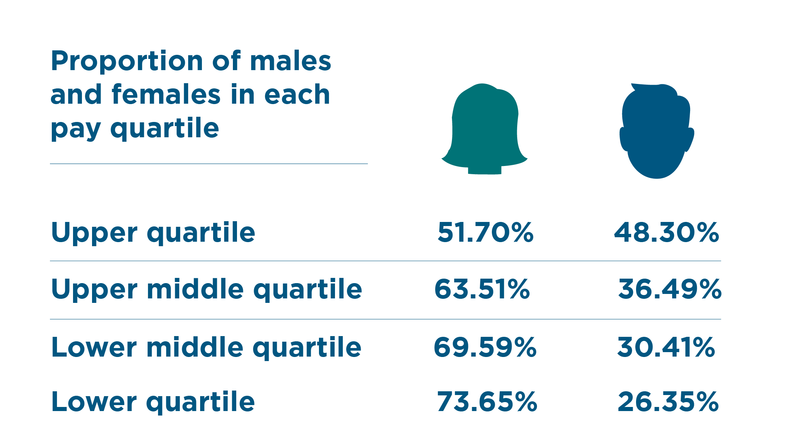 The analysis was conducted in line with the reporting regulations which came into effect on 5 April 2017, requiring UK employers with more than 250 employees to publish statutory calculations showing how large the pay gap is between their male and female staff. The gender pay gap differs from equal pay legislation, which requires men and women performing equal work to receive equal pay. In the year ahead, we will continue to take positive action to ensure we’re providing equal opportunities for all. In October 2018, we launched our new personal development programme - Your JC Path. The model is based on driving a culture of continuous coaching and feedback which will help our staff to gain a better insight into how they are performing in real-time and therefore a fuller understanding of how they are meeting their own goals and aspirations, living our core values, and contributing to the success of our firm. Through this we are celebrating individuality and embracing the special qualities and skills we have as individuals to ‘grow our own way’. This opens up opportunities for all of our staff to learn and develop whether this might be learning a new skill, applying for a promotion, or developing expertise in a new area. We are delighted that this has been embraced across the firm and look forward to continuing to build on this in the future. As part of Your JC Path, we will continue to encourage career development conversations at all levels between employees and their line manager, ensuring that our managers have the skills and knowledge to manage these conversations effectively regardless of the function or level of staff they are managing. We will be setting up focus group sessions consisting of a cross-section of females across our business to help us understand whether they feel they face any barriers in terms of their progression. This will allow us to identify whether there is anything underlying in the firm’s practices, processes or policies that is contributing to, for example, the high proportion of females in our lower pay quartiles and then consider the appropriate action. Johnston Carmichael’s gender pay gap report covers Johnston Carmichael (Scotland) Ltd, which is the only company in the structure of the business that meets the threshold of 250 employees. The full 2018 gender pay gap report can be viewed here.